In February 2017, Lez Cooke, John Hill and Billy Smart programmed a second season of ‘Forgotten Dramas’ at BFI Southbank as part of the AHRC-funded ‘History of Forgotten Television Drama in the UK’ project. 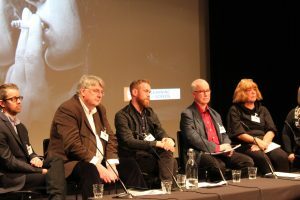 Here they report on the screenings and the associated conference, ‘Television Drama: Archives, Access and Research’. Programming a season of ‘Television’s Forgotten Dramas’, and encouraging a BFI Southbank audience to come and see them, presented both challenges and opportunities. The major challenge involved in promoting forgotten dramas is that, by their nature, they are not well-known and titles on their own do not necessarily hold an appeal for a potential audience. On the other hand, the idea of ‘Forgotten Dramas’ is relatively clear and simple and may be used to suggest to potential viewers that there will be a rare opportunity to see dramas that are not only unfamiliar but also likely to be unusual or, even, surprising. As most surviving British television drama of the 1950s, 1960s and 1970s has a reasonable claim to be forgotten – especially the freestanding single plays that work best as cinema screenings – we were presented with a huge and varied range of material from which to choose. It has been a part of the ‘The History of Forgotten Television Drama in the UK’ research project to unearth and identify material that we feel has been unfairly forgotten or critically neglected and draw attention to its historical significance, cultural importance or artistic achievement. For our season, we also wanted to present a diverse range of plays that would illustrate a different area of neglected drama and consist of equal amounts of ITV and BBC material. The Passionate Pilgrim (BBC 1953), about a group of nurses who accompanied Florence Nightingale to the Crimean War in 1854, was directed by then Head of BBC Drama, Michael Barry. One of the very first British TV dramas to survive, it provided an important example of the early development of the art form. A double bill of Granada plays written by John Finch – It’s Dearer After Midnight and The House That Jigger Built (broadcast in 1968 as part of two ‘forgotten’ series, City68 and The System) – indicated the strength and cultural specificity of the regional drama tradition. A different aspect of Granada programming – now largely absent from contemporary television – was represented in a double bill of contrasting political dramas. 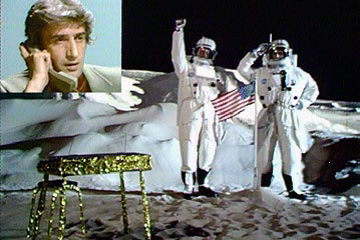 The Nearly Man (1974), written by Arthur Hopcraft and directed on film by John Irvin, tells the story of a politically disillusioned Labour MP while The Eagle Has Landed (1973), written by David Edgar, offers a formally inventive satire on the Apollo Space Programme deriving from alternative theatre. Radicalism of a different kind was also evident in two experimental films made for BBC2: John McGrath’s The Day of Ragnarok (1965) and Philip Saville’s Exit 19 (1966). Influenced by the French nouvelle vague and European art cinema more generally, both were examples of innovative and striking drama made under the rubric of Documentary and Music Programmes rather than by the BBC’s Drama department. John Osborne’s The Hotel in Amsterdam (ATV 1971), directed by Anthony Page and featuring one of Paul Scofield’s milestone performances, provided an object lesson in how to turn a successful stage play into an equally successful play for television, making intelligent use of close-ups to enhance our sense of the emotions underpinning the drama. Finally, the 1976 Play of the Month adaptation of John Galsworthy’s Loyalties served as a valediction of a lost television tradition of lovingly-crafted studio versions of classic plays, and as a tribute to the pioneering television director Rudolph Cartier, now better remembered for his earlier works. Edward Fox, who plays the roguish Captain Dancy in Loyalties, spoke before the screening and was one of a number of those involved in the original productions – such as Jack Bond, Tamara Hinchco, John Irvin, Anthony Page and Jonathan Powell – to come along and offer their personal and professional insights into the making of the work. While this undoubtedly added to audience appreciation of the plays, it was the screenings themselves that provided the real test, particularly given the magnifying effect of the big screen. However, such screenings also helped to reveal many of the nuances of TV acting, directing and design that might be missed when watching on television (particularly the television sets available at the time of the plays’ original transmission dates). And, in the case of plays derived from theatrical sources, the communal nature of cinema viewing appeared to be of particular benefit given that audiences were able to enjoy both the intimacy of the close-ups unavailable in the theatre and the collective experience missing from their own front rooms. Despite the cold February evenings when many of the screenings took place, attendances were good and, in some cases, screenings were sold out. The season clearly revealed an appetite for forgotten television drama and a desire to see material that it was otherwise impossible to see. 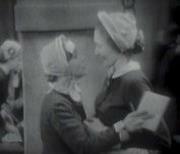 The majority of the plays had not been publicly shown since their original transmission and, in the case of The Day of Ragnarok, it was only possible to see it as a result of a restoration from material surviving in the BBC Archive instigated as a part of the Forgotten TV Drama project. It has been a central ambition of the project not only to enhance awareness and understanding of ‘forgotten’ television material but also encourage increased access to it. As our research has revealed, however, although some television drama may have become more readily available on DVD and online, the vast majority of television drama (and, indeed, television of the 1950s, 1960s and 1970s more generally) remains largely inaccessible and even the identification of its whereabouts can still prove difficult. Although the issue of access to the television archives is hardly a new one, the project did seem to offer an opportunity to bring archivists, academics, television professionals and enthusiasts together to discuss issues of mutual interest and consider how they might collaborate to increase access to information and holdings and enhance its educational, cultural and commercial value. 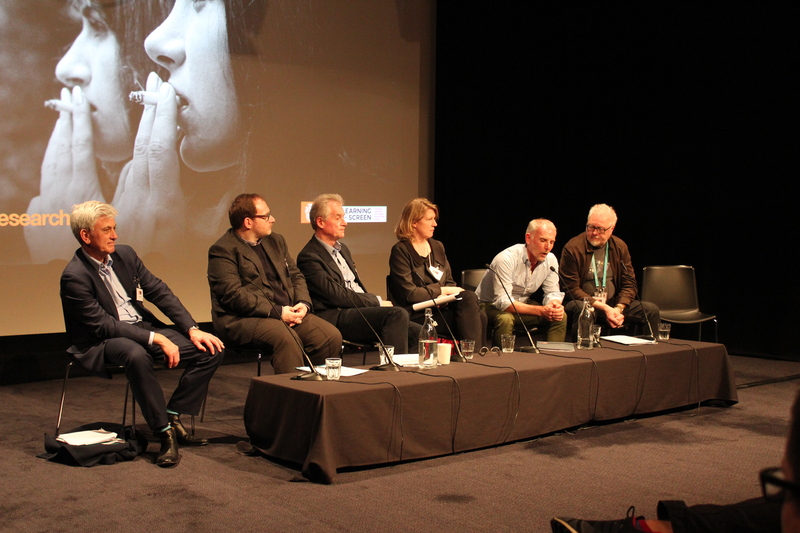 The result was a one-day conference at BFI Southbank on 22 February, co-hosted by the BFI, Learning on Screen and the newly-established Centre for the History of Television Culture and Production at Royal Holloway, University of London (of which the Forgotten TV Drama project forms a part). The day was split into three panels – on Information and Access, Availability and Exhibition and Research and Education – and we were fortunate in attracting a range of high-quality speakers from BBC Archive and Development, the ITV archive, the BFI Archive, the Educational Recording Agency, Learning on Screen, the British Library, the DVD distributor Network and the television organisation, Kaleidoscope as well as from a number of UK universities. The event was also very well-attended and included many from both the television sector and the universities who, on a different day, might easily have found themselves sitting on a panel. 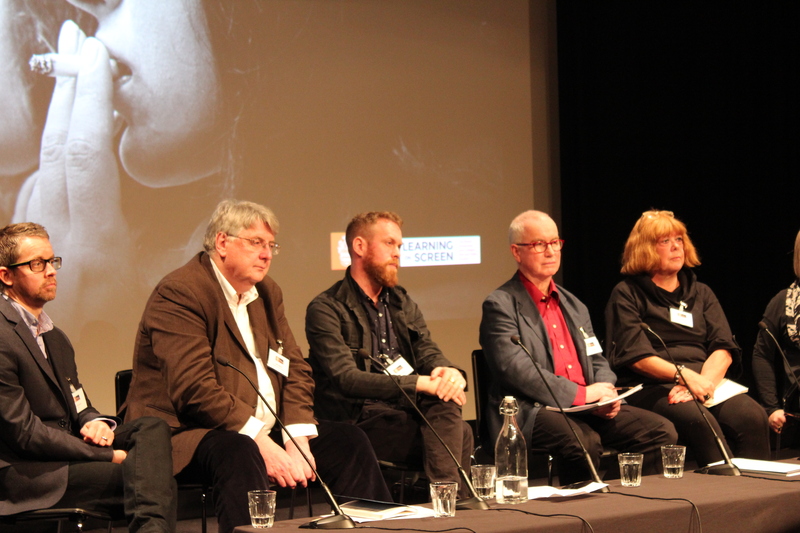 Given this line-up, the discussion proved to be wide-ranging, well-informed and engaged. While issues such as the cost of digitising material and rights clearance could not be avoided, there was also a strong emphasis on the appropriate strategies for increasing digital access to television programmes (through a variety of private and public means) and advancing the integration and use of data relating to television holdings. And, while there may be a long way to go before the kinds of open access to material called for by a number of speakers is achieved, the mood of the event was almost overwhelmingly positive and suggested that many of the ideas and proposals discussed will be pursued and that the conversation between academic researchers and television archivists will be continued. The report was originally commissioned for Learning on Screen and can be found here.